Speaking at the press conference ahead of the game against West Brom, Arsenal manager Arsene Wenger discussed the recent contract speculation regarding star players Mesut Özil and Alexis Sanchez (via Arsenal.com). Reports in the media have claimed that both Sanchez and Özil are set to be offered massive pay hikes to stay on at the Emirates (via the Mirror), Wenger however, dismissed the reports that the club are in a hurry to get the players to sign extensions. Both players still have two and a half years left to run on their current contracts, which means that they will stay on at North London until the 2017-18 season at least. But it is considered wise to tie down world-class players with long contracts, and Arsenal are widely expected to do that with Özil and Sanchez, who have both put in some great performances so far this season. The manager however, seemed content to wait until the summer to sort things out, saying, “We have not started to talk about that with Mesut. We are in the same situation [with Alexis]. “At the end of the year they have two-and-a-half years left on their contract so we still have some time. We are not in a hurry. Of course we want them to stay here at the club and we will start the negotiations at some stage. At the moment we have not started them. Fans will want the negotiations to be swift and decisive, so that we can be confident of retaining our two best players heading into the future. Too often in recent years, Arsenal have been forced into being a seller club and losing our best talent due to financial obligations. 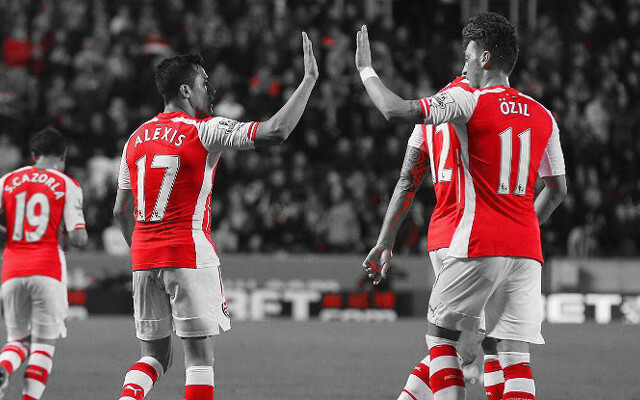 However, money is available now and club record transfers Ozil and Sanchez represent the new era of the Gunners. A speedy resolution to their contract talks will send a clear message that Arsenal are intent on holding on to their best men and regaining our place at the pinnacle of the Premier League.